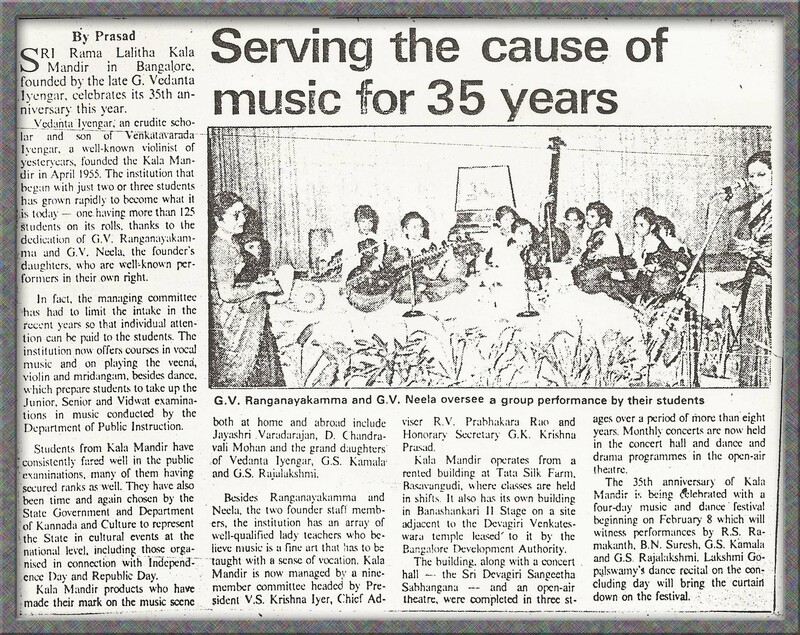 Sri Rama Lalitha Kala Mandira, a school dedicated to the lifelong learning of music, was founded in Bangalore, India in 1955 by the Late Sri. G. Vedanta Iyengar, an educationist of the highest repute. Sri. 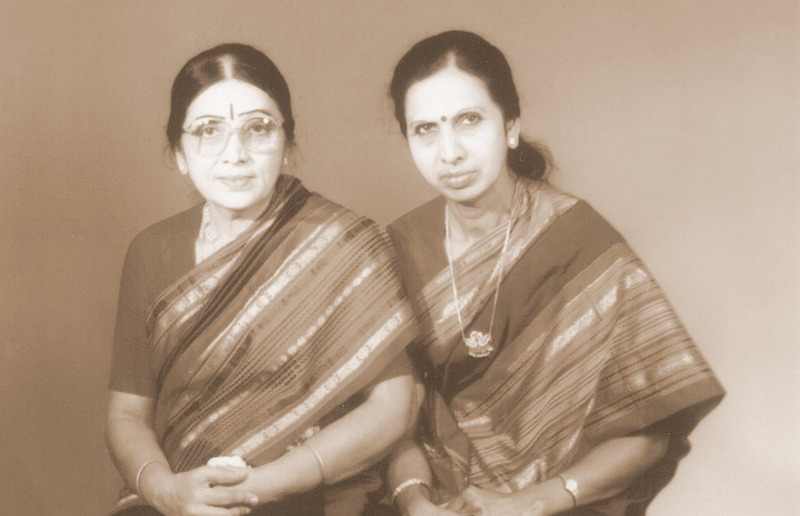 Vedanta Iyengar’s mission was to promote the fine art of Carnatic or South Indian Classical Music in Karnataka, South India by giving aspiring musicians an opportunity to learn Carnatic music in its purest and most authentic form. Sri. 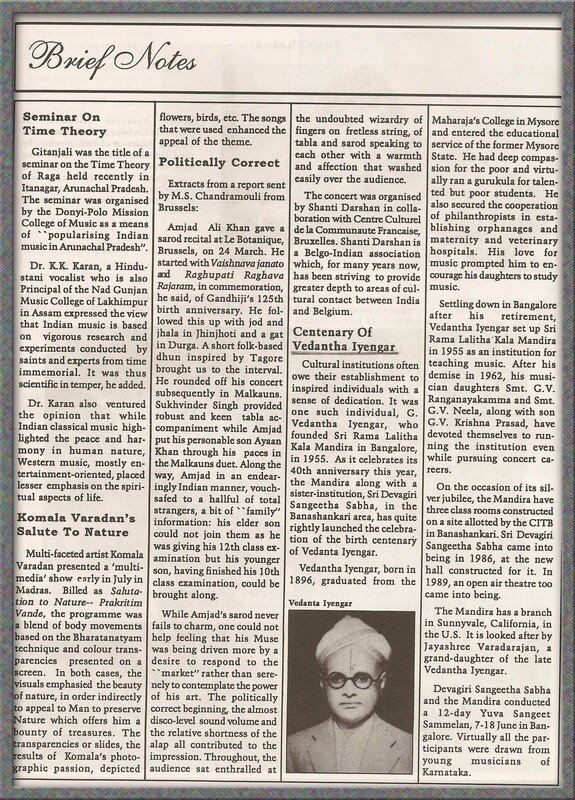 Vedanta Iyengar was awarded a “Public Service Gold Medal” in the year 1949 from the Maharajah of Mysore, His Holiness Sri. Jayachamarajendra Wodeyar in recognition of his selfless contributions to his community and for public services in several aspects of education. which have resulted in Sri Rama Lalitha Kala Mandira being considered the finest Carnatic music school in Bangalore, India.. Meanwhile Sri GV Iyengar’s grand-daughter Jayashree Varadarajan had journeyed to the United States but had not forgotten her grandfather’s dream, her aunt’s selfless service or her own parents’ guidance. In 1983, in Sunnyvale, California, USA, Varadarajan breathed new life into her family legacy and her ancestors’ dreams. Despite her education background in the sciences and numerous research career opportunities, she decided to devote her life to service through music. Varadarajan established Sri Rama Lalitha Kala Mandir School of Fine Arts, a United States affiliate of her ancestral school in India.